It is hoped to show another film in November 2015, possibly in a larger space such as the Ruskin Hall at Emerson. 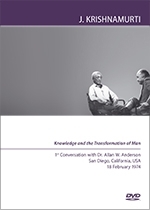 In November A DIFFERENT WAY OF LIVING was screened, a conversation between Krishnamurti and Allan W Anderson which took place in San Diego in 1974. The event took place in The Foundation Room at Emerson College. About 60 people attended and many stayed on for the refreshments and book sales. In November GOODNESS ONLY FLOWERS IN FREEDOM was screened, a conversation between Krishnamurti and Eugene Schallert which took place in San Diego, California in 1972. The event took place in the Biodynamic Building at Emerson College. About 50 people attended, many staying on afterwards for refreshments and a chat. 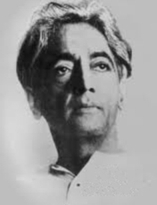 In November Krishnamurti DVDs were publicly screened in Forest Row for the first time. This took place in the Long Dining Room at Emerson College. All the 1984 Ojai, California talks and discussions were screened as well a biographical film.